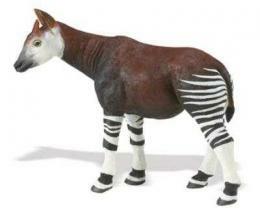 Okapi Plush Stuffed Animal is safari educational, imaginative play fun at Anwo.com Animal World®. 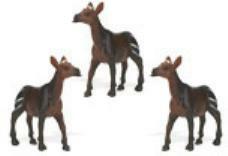 Featuring those trademark striped legs, face, this Okapi stuffed animal has soft brown, black, white plush, a tufted tail, and measures a nice 15"L x 13"H x 5"W. Shop our Okapi Gifts at Anwo.com Animal World® page for Okapi toy miniatures. Shop our Stuffed Animal Plush Wildlife A-Z at Anwo.com Animal World® for all our Wildlife stuffed plush toys. 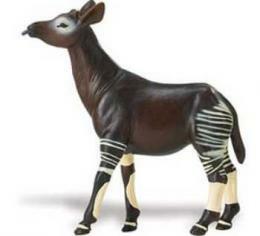 More information article on creative, educational, display and learning play fun uses for the Okapi Plush Stuffed Animal Toy.